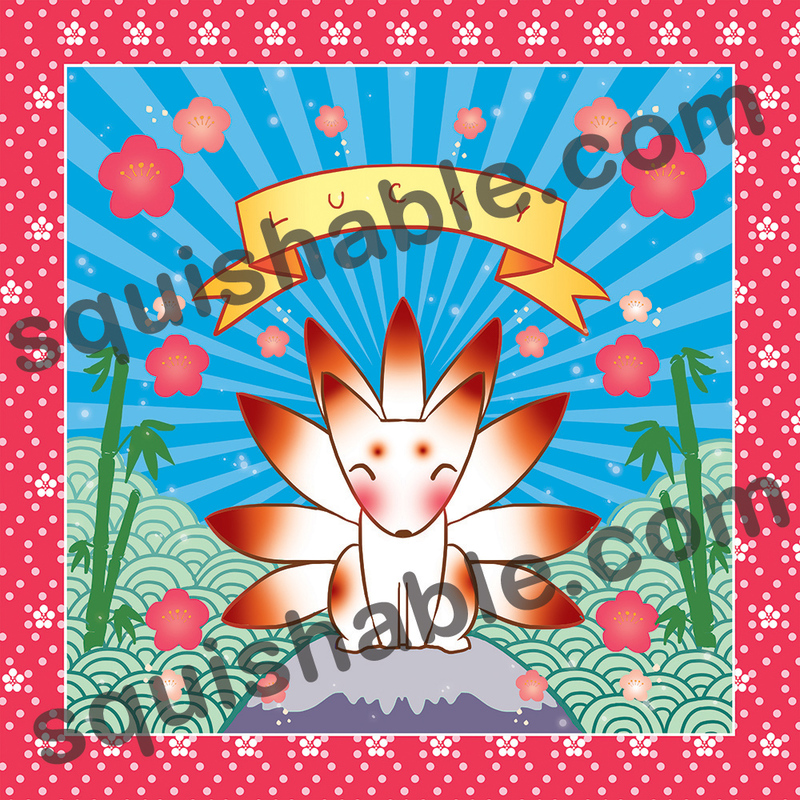 Lucky Kitsune Pillow: An Adorable Fuzzy Plush to Snurfle and Squeeze! Luck comes easily to a Kitsune! Besides being naturally gifted in the "good fortune" department, these many-tailed foxes are also shapeshifters! Which is a very lucky thing to be indeed. Is it suddenly raining? Turn into an umbrella! The bank's closed for the day? Turn into a winning lottery ticket! Didn't know the dance was supposed to be '80s style and you're wearing the wrong dress? Turn into...a person who looks just like you but wearing a different dress! Being a Kitsune is just plain-old lucky!